Nollywood actress, Tonto Dikeh has spoken concerning the controversy between Kemi Olunloyo and Linda Ikeji over Linda Ikeji’s pregnancy. On her Instagram page, Kemi Olunloyo accused Linda of wearing a prosthetic bump after she made a lengthy emotional post, chronicling her journey and her excitement when she found out she was pregnant. She said Ikeji was neither engaged nor pregnant. However, Linda in a post addressing Kemi Olunoyo’s claim, queried why someone who she helped while in prison could utter false claims about her pregnancy. 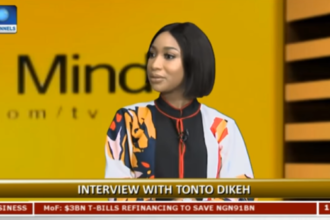 Speaking on the recent face off, Tonto urged Kemi Olunloyo to use her motherly instinct, to focus on making her life better and leave Linda alone. 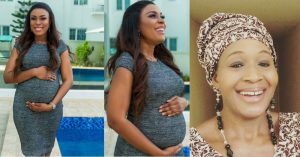 Tonto took to her Instagram page to support Linda Ikeji, stating that she remained a role model to many people no matter the criticisms concerning her pregnancy.